UNION CITY, Ind. — A Union City, Indiana man was arrested early Saturday morning after officers investigated a suspicious vehicle. 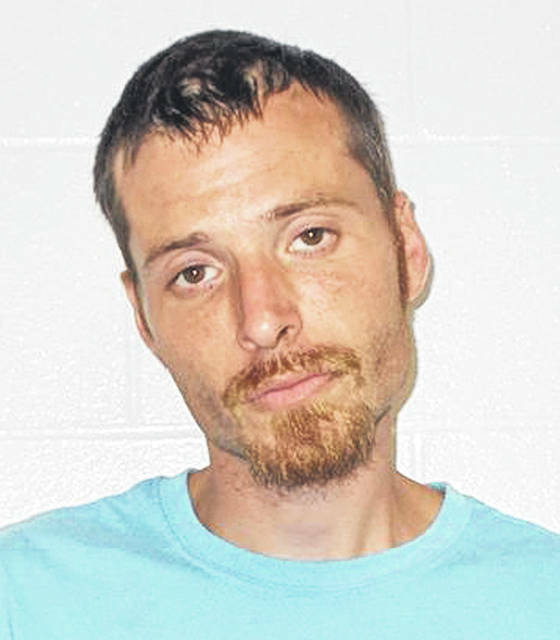 Robert D. Pratt, 34, of 424 W. Division St., was taken to the Randolph County Jail for burglary and theft-related charges. At approximately 4 a.m., Cpl. Lance Mock was on patrol when he located a suspicious vehicle parked on the wrong side of the road at the 1300 block of Landsdowne Drive. While Cpl. Mock was investigating the vehicle, a male subject walked from the front of Save A Lot, wearing a bandanna over his face while holding a hatchet. Cpl. Mock detained the male and identified him as Robert D. Pratt. Cpl Mock found Pratt holding several rolls of coins and had a large sum of money in his pocket. Officers walked to the front of Save A Lot and found that a window had been broken. Upon the arrival of a key holder, it was found Pratt had made entry into the store and proceeded to break into an office where the money had been kept. Officers later made contact with the registered owner of the vehicle found on Landsdowne Drive. The owner had advised that Pratt did not have permission to be driving the vehicle and reported it stolen. Pratt was taken into custody and was transported to the Randolph County Jail where he faces charges of burglary (Level 5 Felony), auto theft (Level 6 Felony), two counts of theft (Class A Misdemeanor) and criminal mischief (Class B Misdemeanor). Deputies with the Randolph County Sheriff’s Department along with officers from the Union City Ohio Police Department responded to assist with this investigation. “Proactive policing and observant officers were key in completing this investigation,” Cpl. Mock said. “Our local agencies work very well together which in return makes our agencies better and often leads to crimes being solved quickly. We are very appreciative of the help we received. “It is important for our community members to remember that if they see something suspicious, they should report it,” he added. Those who suspect or witness suspicious activity should dial 9-1-1, call the Union City, Indiana PD anonymous tipline at 765-287-5393 or the Union City, Ohio PD anonymous tipline at 937-459-1210. This entry was tagged Auto theft, Burglary, Criminal mischief, felony, Indiana, police, Theft, Union City. Bookmark the permalink.